Before he took you to a galaxy far, far away, before he brought you face-to-face with living, breathing prehistoric beasts, Dennis Muren, the future eight-time OscarÂ®-winning visual effects artist (Star Wars, Jurassic Park), joined with a group of talented young filmmakers to create an homage to the creature features of yore in the eerie monster mash Equinox. Deep within the woods and canyons of California, four teenagers happen upon an ancient book containing the secrets of a strange, malevolent world that coexists with that of mankind. 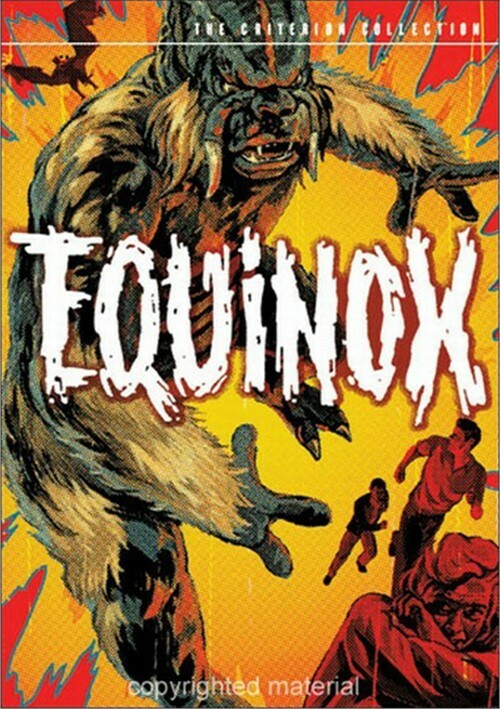 This $6,500-budget wonder was picked up for distribution by producer Jack H. Harris (The Blob), who shot new footage for the film with writer-director Jack Woods and released it in 1970 as Equinox. 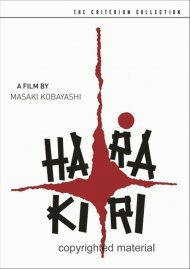 Since then, the film has gained a passionate cult following and inspired succeeding generations of horror/fantasy filmmakers. 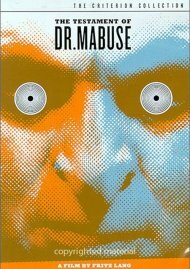 Â· Two audio commentaries: One by writer-director Jack Woods and producer Jack H. Harris, on the 1970 release. 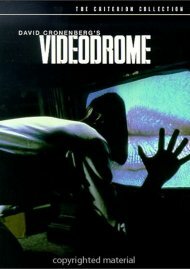 And one by effects photographer, producer, and director Dennis Muren; writer-codirector Mark McGee; and matte artist, cel animator, and effects technician Jim Danforth, on the 1967 version. 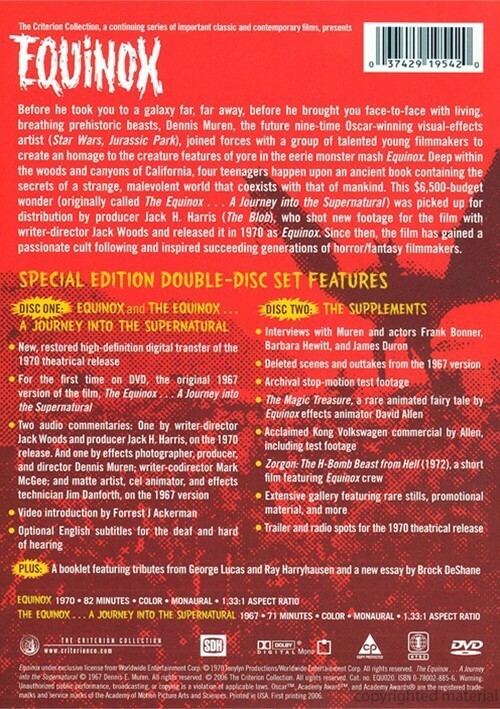 Review "Equinox: The Criterion Collect"
Reviews for "Equinox: The Criterion Collect"